Alonso says it will be "a couple of months" before he will confirm any decision about his future after announcing he would be quitting F1 earlier this week. Fernando Alonso says there will be a "long wait" before he confirms his racing plans for the 2019 season after announcing his decision to quit Formula 1 earlier this week. Two-time F1 world champion Alonso confirmed on Tuesday he would not be racing in F1 next year, ending an 18-season stint in the sport that has seen him take 32 race wins with the likes of Renault, McLaren and Ferrari. Alonso turned his attention to becoming the second driver in history to complete the 'triple crown of motorsport', achieved by winning the Monaco Grand Prix (a race Alonso has won twice), the Indianapolis 500 and the 24 Hours of Le Mans. 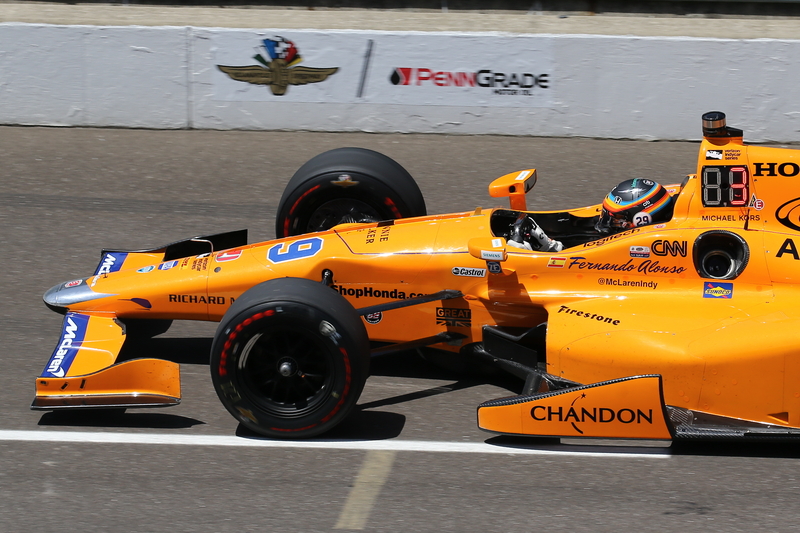 Alonso made his Indy 500 debut last year, qualifying fifth before retiring from the race, and won on debut at Le Mans in June with Toyota. Alonso has been strongly linked with a full-time move into IndyCar for 2019 as McLaren evaluates entering the series with its own team, but the Spaniard stressed he would not be making a final decision on next season's racing plans in the near future. "I’m thinking. Probably this is bad news, but I will not probably decide or be ready to confirm anything until [in] a couple of months, maybe October or something like that," Alonso said. "It’s going to be a long wait, and a lot of predictions!" A report from RACER on Wednesday claimed Alonso is in line to complete his first IndyCar test on a road course next month, having only previously driven the car on the Indianapolis Motor Speedway oval. While Alonso confirmed it was possible, his said any test would not accelerate his decision for 2019, his current priority instead being his fight to win the FIA World Endurance Championship title with Toyota. The season ends next June at Le Mans, with next spring's rounds at Sebring, Spa and Le Mans being Alonso's only confirmed 2019 events so far. "There is that possibility [testing on an IndyCar road course] that came to place in the last couple of days, so I will think and I will decide," Alonso said. "It could be interesting, because I obviously enjoyed a lot last year the Indy 500. I don’t know that car in a normal setup, in a normal circuit, so it can be a possibility. "But first of all, I want to take time to digest the retirement from Formula 1. Obviously our priority this weekend is the WEC, because one of the reasons to join the super season was to become world champion. Le Mans was the first priority. "With the super season, you have two attempts at Le Mans. We won on it in the first one, but the second priority was to become world champion, and that’s right now the biggest thing. "Also next year, there was the clash with Sebring and Australia, so now there is not anymore, so even more priority to WEC and the world championship possibility."